Take a stormy night, a glorious wind and a sackful of treasures. Mix them together, add a pinch of magic, and the world is ready for Tobias Blow. Tobias buttons up his greatcoat, eager to be away, as the sun sets unseen behind a curtain of crashing clouds. From the author of acclaimed adult novel The Lifeboat (2008) comes a beautiful picture book about Tobias Blow, the man behind the loose items we find all around us- the lone feather; a rock washed up on the beach; a piece of string; a flower on the ground. Tobias travels through the night leaving objects for children to find the next day and blows in and away, before settling down to watch the children awake and discover what has been left for them. 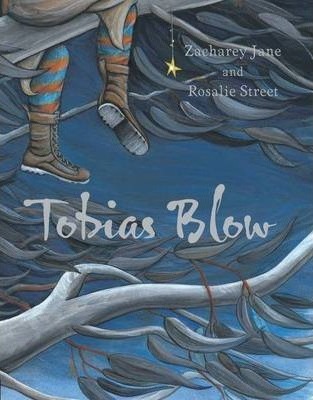 Stunningly illustrated by Rosalie Street, Tobias Blow will capture every child's imagination.